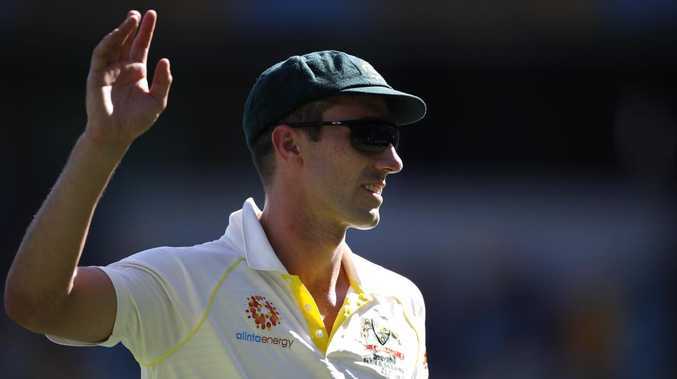 PAT Cummins gave Australia the sugar shot it's been craving at the Gabba, but the form of Mitchell Starc has sent a tremor through Australia's Ashes plans. Australia's emphatic dismantling of Sri Lanka inside three days served as a much-needed confidence booster for a toiling outfit that desperately needed something to lift the mood. Cummins showed why he is again set to be instilled as Australia's $2.5 million top-ranked player, delivering yet another stunning reminder of his fast bowling prowess in a Test where rookie quick Jhye Richardson also announced himself as an Ashes certainty. It was as if the relentless pressure Cummins applied to India all summer finally burst through the dam wall and it seemed every ball he bowled to the hapless Sri Lankans had wicket-taking potential. Kurtis Patterson took a one-handed screamer at gully to clinch Cummins his career-best bowling figures of (6-23) for the innings and (10-62) for the match. The golden boy had earlier blazed through the first three Sri Lankan batsmen without conceding a run. 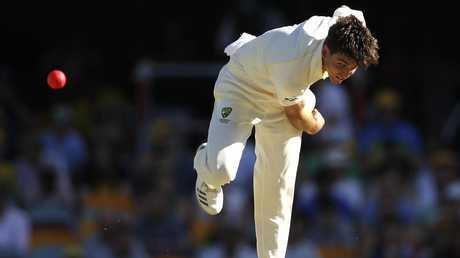 However, despite the strength of the Cummins powerhouse, the inescapable contrast was that struggling spearhead Starc couldn't buy a wicket in Australia's second-innings procession, which ended in a rapid innings and 40-run triumph before the dinner break on day three. 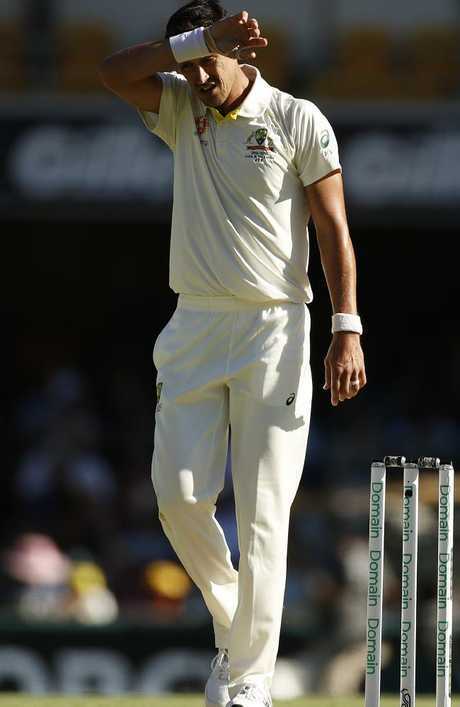 Starc entered the 200-wicket club this Test match to confirm his world-class status beyond dispute, but in the here and now the left-armer is under severe scrutiny for one of the only times in his career. Reports have speculated that Starc (0-56 from 14) may even have been overlooked for the first Test against Sri Lanka had Josh Hazlewood not been ruled out with injury. It would be a brave call to leave Starc out for the second Test on a flat Manuka Oval deck in Canberra with the Sri Lankan top order looking like sitting ducks, but the 28-year-old's claim to a starting spot for the first Ashes Test in August is slipping further with every stutter. Mitch Starc didn’t really fire at the Gabba. Peter Siddle is waiting in the wings for Canberra should selectors wish to give Starc a rocket or a rest, and then there's the hope James Pattinson will yet prove his fitness for the Ashes. Starc pushed the speedometer to 150km/h in the Brisbane heat on Friday, but there was no accuracy or sense that he was bowling to a plan or even trying to build pressure. Television graphics painted a startling picture of how rarely Starc's scatter-gun radar was aimed at the stumps and at times he seemed agitated out in the middle. Even when the Sri Lankan tail arrived, Starc was unable to find the broom - and a series of despairing near misses only added to his anguish. As Starc walked onto the ground for the second session, his great mate Nathan Lyon gave him an extended cuddle in a bid to lift his spirits. But Starc's stern-faced expression for most of the day was the sign of a man not at peace with his game. The reassuring news is Australia's hierarchy has six months to regenerate their biggest x-factor before the first ball is bowled for the Ashes, and the rest of the attack is looking cherry ripe. Cummins is the No.1-ranked player on Australia's contract list and unless injury intervenes he may keep top spot for years to come. An instant threat from the moment he took the ball in the final innings, Cummins was all over Sri Lanka from the outset and the tourists must show dramatic improvement in Canberra if they're to avoid an embarrassing clean-sweep. Australia can't afford to fall for any false dawns against such a poor Sri Lankan side, but it doesn't mean there isn't plenty to be taken from such a dominant performance. Batsmen Marnus Labuschagne and Travis Head can now walk taller in the dressing room and Richardson is suddenly in the minds of the English - with Michael Vaughan in awe of the West Australian's ability to swing the ball.